Burning up in fine style, Sweden’s Spiders mines a hard late “˜60s tough rock sound with a touch of proto-metal and a somewhat sinister motif to re-ignite the Scando garage scene once more. Vocalist Ann-Sofie Hoyles has the sort of thousand yard state and throaty, phonetically charged vocals of the late Shocking Blue siren Mariska Veres, which she launches over snarling guitar riffs (courtesy of Witchcraft’s John Hoyles) and an air-tight rhythm section. These two songs will stand your hair — or what’s left of it — right on end. 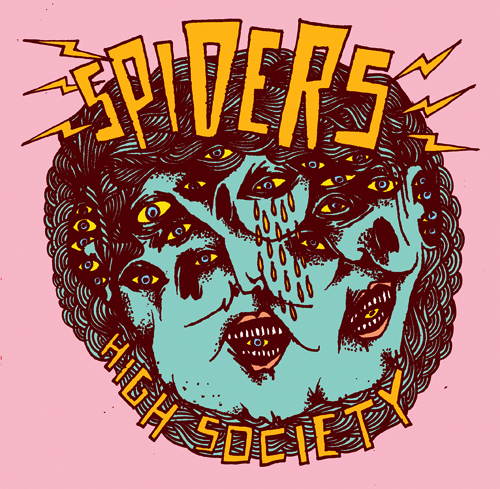 Spiders "High Society" b/w "Gracious Man"